HARDULF, (Seventh Century), the Church of St. Mary and St. Hardulph (C. of E.) in Breedon on the Hill, Leicestershire, commemorates St. Hardulph, about whom we know little else. Though he does not appear in any of the Mediaeval Kalendars, the English Menology avers that St. Hardulph may be the hermit of Breedon mentioned in the ninth century Life of St. Modwenna. Though the traditional feast date for St. Hardulph is 6th August, he is commemorated on the Calendar of the Moscow Patriarchate on 21st August. HORMISDAS, fifty-second Pope of Rome from 20th July 514 until his repose 6th August 523. The successor to St. Symmachus (19th July), St. Hormisdas spent the majority of his papacy working with Emperor Justin I, and Patriarch John of Cappadocia to end the Acacian Schism. JUSTUS and PASTOR, two youths, aged only thirteen and nine, who were scourged and beheaded during the Diocletian persecution at Alcalá in Spain circa 304. SS. Justus and Pastor are patron saints of both Alcalá and Madrid. 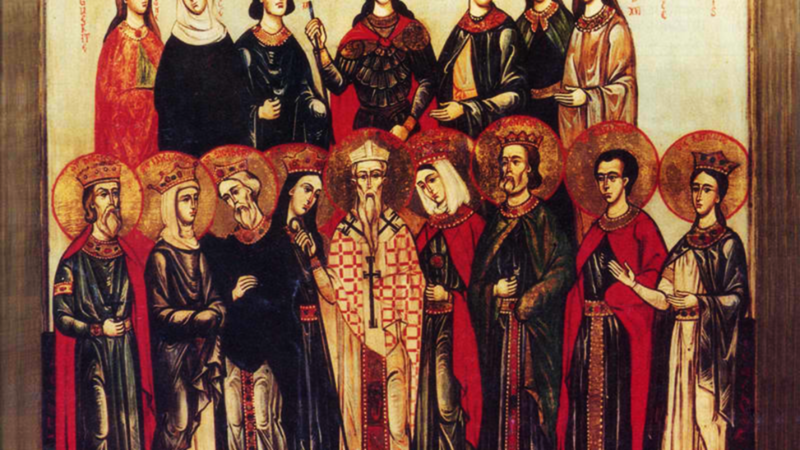 STEPHEN of CARDEÑA and COMPANIONS, Abbot of a monastery near Burgos in Spain. St. Stephen, and his community of two hundred monks were martyred, in their monastery, by a horde of Moors circa 872. SIXTUS II (XYSTUS), (on Eastern Calendars 10th August), the twenty-fourth Pope of Rome. He was arrested (258) along with his deacons Felicissimus and Agapitus; all of whom were tried and martyred. St. Sixtus’ Archdeacon, Laurence was arrested, tried, and martyred three days later.